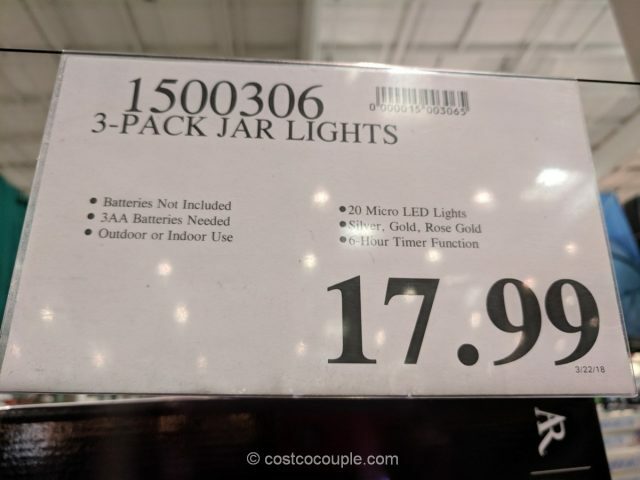 We saw these Glass Jars with LED Lights last year at Costco and they’re now back in the store. 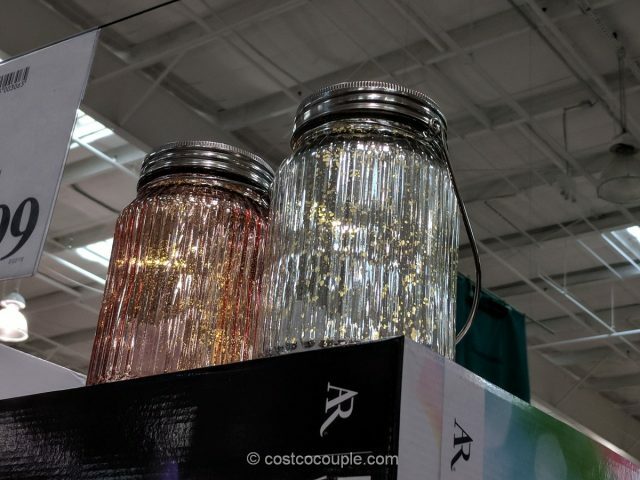 Each box contains 3 glass jars, one of each color – silver, gold and rose gold. 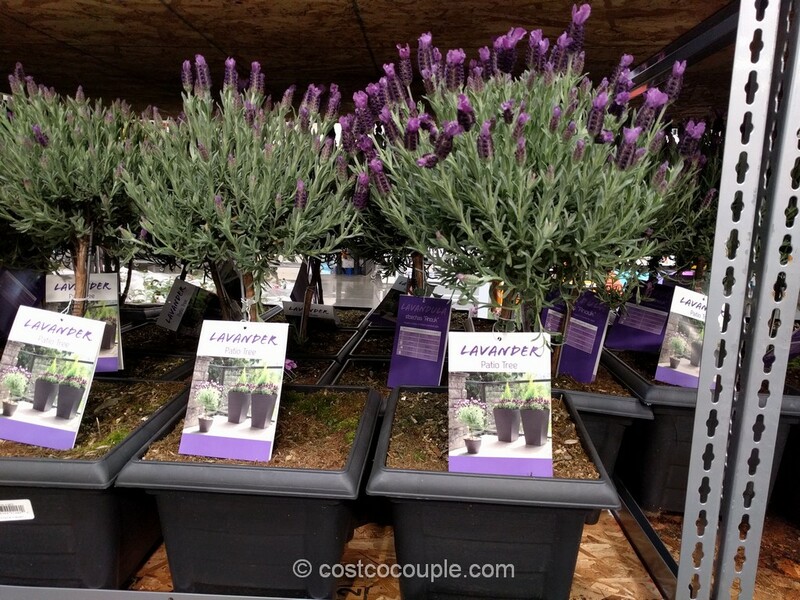 The jars have handles so you can hang them from branches if desired or they can be used as table decor. 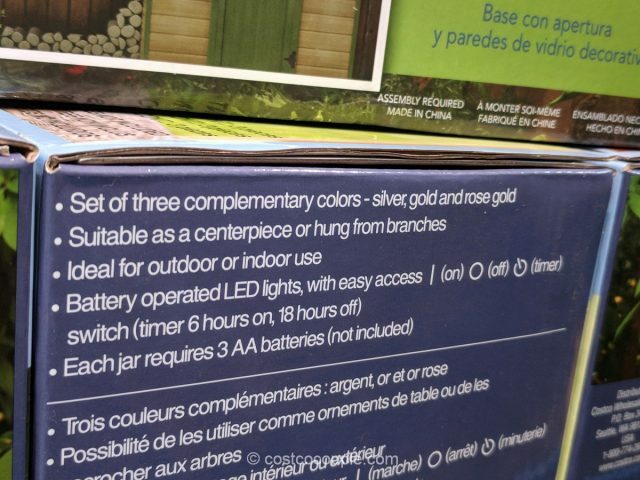 They have battery-operated LED lights with on, off and timer options. The timer sets the lights to come on for 6 hours and off for 18 hours. 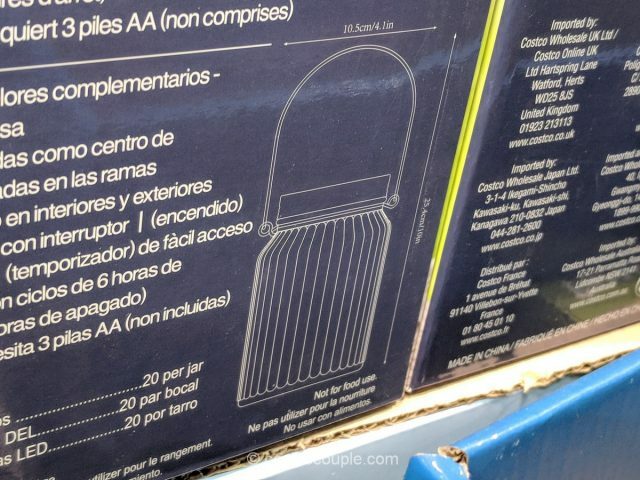 Each jar requires 3 AA batteries which are not included. 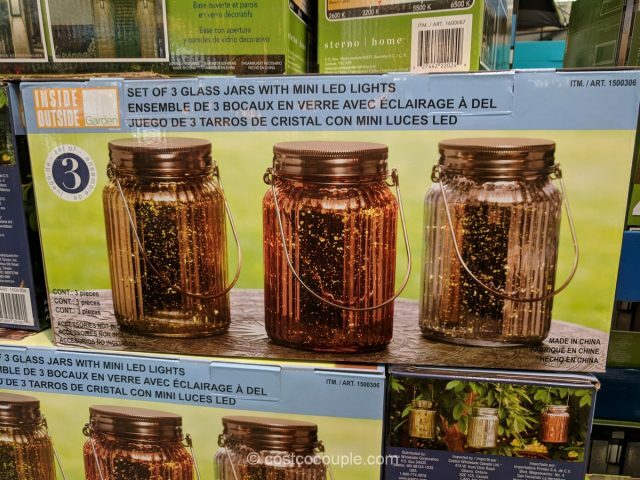 The Glass Jars with LED Lights set is priced at $17.99.